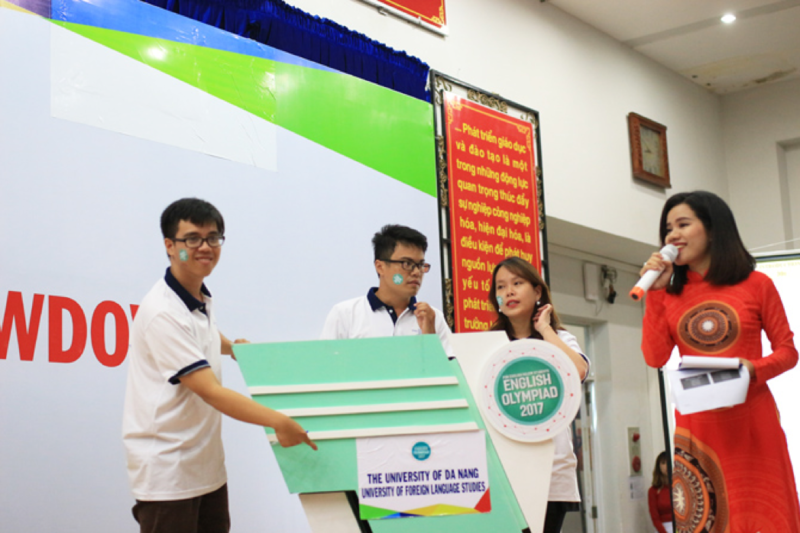 On the evening of 25 May, 2017, the finale of the Central Region English Olympiad 2017 took place at Hall A, University of Foreign Language Studies, the University of Danang. 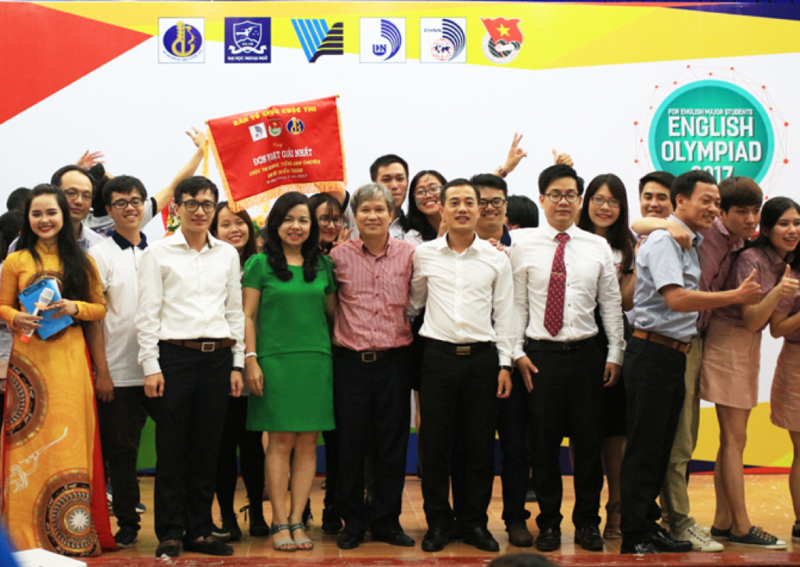 After challenging online qualifying rounds, 42 players from the six most outstanding teams of the Central Region were selected for the finale, including University of Foreign Language Studies and University of Economics from the University of Danang; Nha Trang University; University of Economics and University of Foreign Languages from the University of Hue; and Duy Tan University. 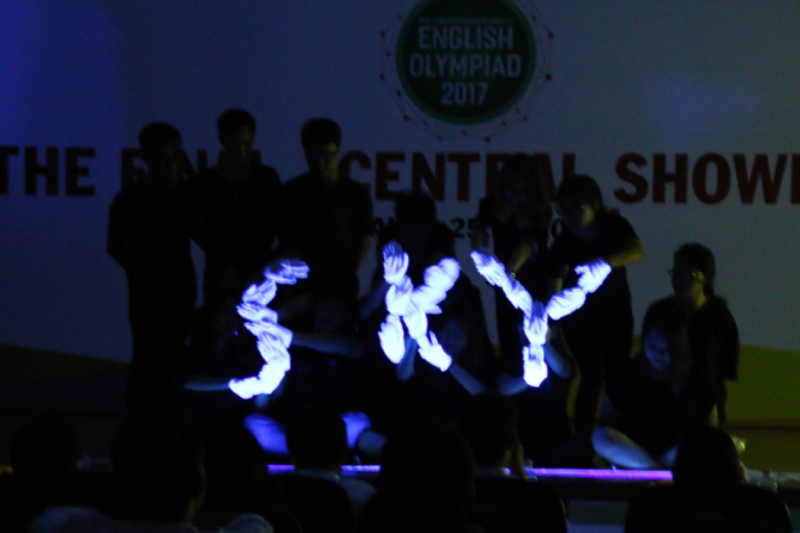 UFLS’ Team Sky will become representative of Central Region to participate in the National English Olympiad 2017 in Hanoi this June. 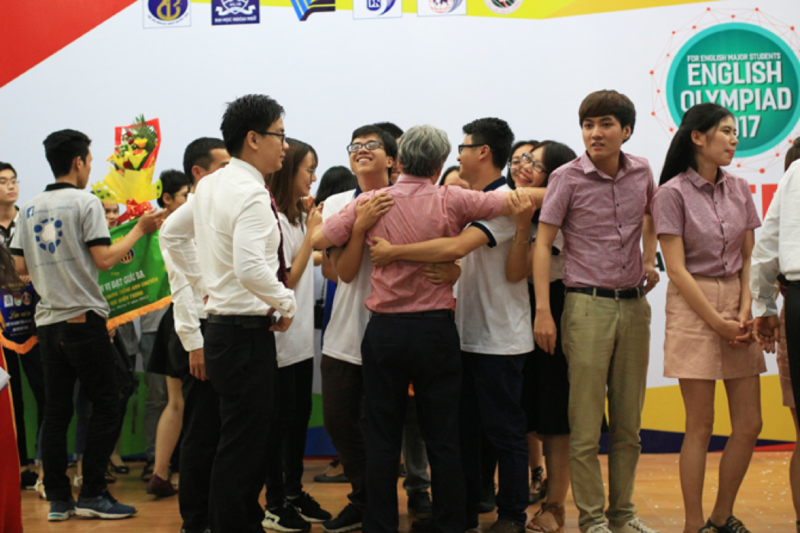 During the Central Region finale, all the teams competed in three rounds including Greetings, Knowledge and Debate. The competition became so exciting thanks to the players’ great talents and enthusiasm. 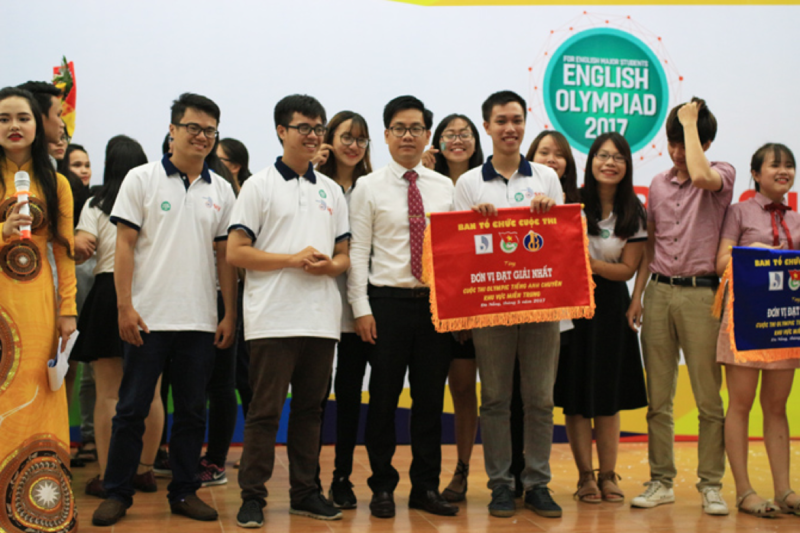 The winner is Team Sky from University of Foreign Language Studies, the University of Danang and will represent the Central Region to take part in the finale of the National English Olympiad in Hanoi on 15 June. This is a practical playground for students from various schools to meet and exchange knowledge and experience in learning foreign languages as well as to enhance their relationship. 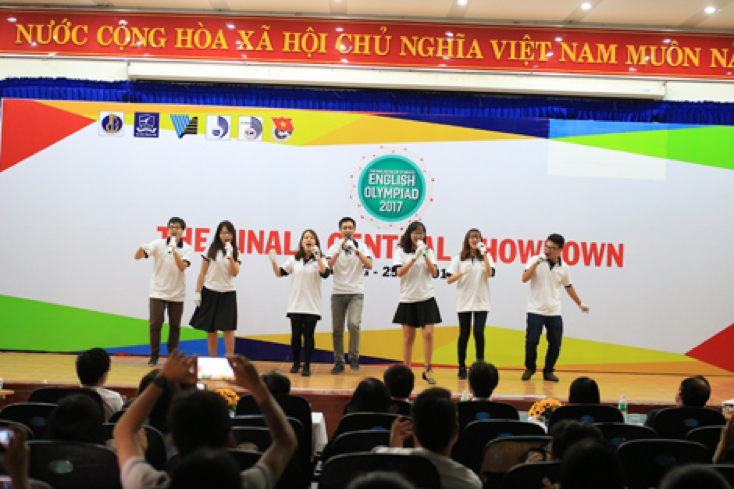 More importantly, the competition not only helps promote English learning across the country but also provides students opportunities to show their points of view about the most concerning social issues. As for UFLS students, the English Olympiad 2017 offered them opportunities to show their abilities and to learn from their peers from other parts of the country so that they will make more efforts for their future careers. The result also serves as a great motivation for UFLS’ lecturers in training their students in their study and research.